Because it's Christmas, and puppies need Christmas cookies, too. 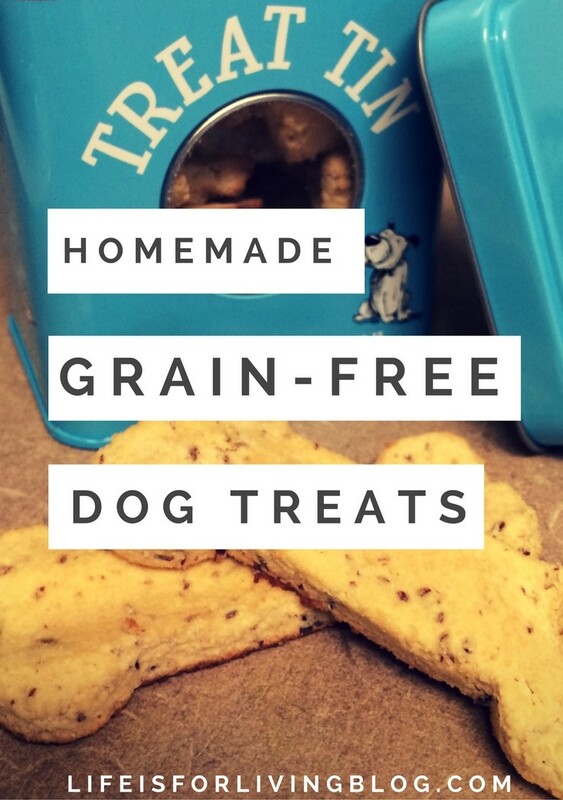 I've been wanting to make homemade dog treats ever since we adopted Annie. In hopes that I would be more motivated to actually accomplish this, I put it on my new 101 Things List. Well, here it is, two days before Christmas, and I have an overpowering holiday-and-likely-PMS-induced maternal instinct that tells me, Hey. Let's make Christmas cookies for the babies. The babies just so happen to be two pups named Annie and Brenna. 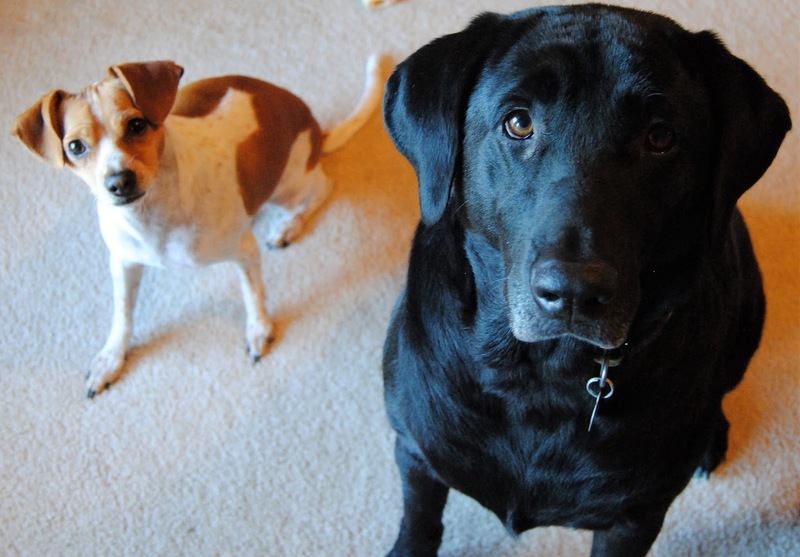 So, I scoured the Internet for grain-free treat recipes, and I liked the sound of this one from Primally Inspired, a dairy-free Chicken and Cheddar flavored dough that promotes a shiny coat and supposedly reduces fleas. But, since I was missing a key ingredient that her recipe called for (tapioca flour ), I had to make some adjustments. We have a TON of coconut flour lying around, so I decided to make use of that. Coconut flour soaks up moisture like crazy, so to compensate, I also added an egg and water until I achieved the desired consistency- gooey, malleable cookie dough. I then rolled out parchment paper and mashed the dough into a flat sheet. I unpacked my Christmas cookie cutters and had way too much fun pressing them into the dough for my lil' pups. When I realized what a large batch this was going to be (and how long all these treats would inevitably last for our two dogs), I decided to get out our bone-shaped cookie cutter as well a simple pizza cutter to make some simple bite-sized square treats. Now, they are VERY crumbly, but both Annie and Brenna devoured them so fast it didn't matter. Seriously, they were lurking around the oven the entire time they were baking, and after they tasted them, they followed me everywhere closely, anticipating more. Yeah, so, I'd say they're a big hit with the pups, which made me so happy. I was afraid they might turn up their snotty little noses, but that was definitely not the case! 2. In a small pot, bring the chicken broth and coconut oil to a boil. 3. While waiting for oil/broth mixture to boil, mix coconut flour , salt, nutritional yeast , and flax meal in a large bowl. 4. When the broth/oil mixture comes to a boil, remove from heat and add to the bowl with the dry ingredients. Mix well. 5. Add in 1 egg and 1/2 cup water and stir until mixed. 6. Continue slowly adding water until the desired texture is reached. It should be a thick yet moist and pliable cookie dough texture. 7. On a sheet of parchment paper , press out the dough into a ¼" thick rectangle. Then, either slice into squares with a pizza cutter or use cookie cutters to create your own custom shapes. 8. Bake for 15 minutes on a parchment lined cookie sheet. Also....this could be a great, budget-friendly gift for a dog lover (or for any of your doggy family members/friends)! You could wrap a few of them up in little cellophane baggies , tie a cute bow with decorative ribbon or twine, and attach a hand-stamped, card stock tag for a nice homemade gift! I was so glad to find this recipe without the tapioca flour! Not that I have anything against tapioca flour, but I seem to have misplaced mine somewhere, and Sugar needs more treats now.....haha. And your doggies are absolutely adorable!! !